So I'm pretty sure we've all heard of dry shampoo before but dry conditioner? I didn't even know it existed! This humongous bottle of Percy & Reed dry conditiner is supposed to add healthy looking gloss and shine to the hair on those days betweeen washes when it starts to look a bit dry and lacklustre. I'm excited to try this one - I wonder if I'll love it as much as my dry shampoo! I also love the Percy & Reed pacakging - its so girly and quirky! I could probably take or leave this product to be honest. I'm quite happy with my skincare routine at the moment and already have my favourite moisturisers so I can't see me getting much use out of this La Claree one. However, if you have dry skin and are in need of a thick moisturiser to combat dry areas, this may well be for you. It contains a tonne of different essential oils and promises to "soothe the skin, restoring its softness and radiance". I'm not completely dismissing this product as the cute little jar will be handy for travelling but I think I need to use my 10,000 other moisturisers first! This is another product I wasn't too excited about when I first opened my box but I have to say since trying it my opinion has changed. This multi-purpose balm can be used anywhere on the face or body that requires some extra hydration. I've used it on my lips as a lip balm and its absolutely lovely. Just like the Bakewell Soap Company's website claims, the belnd of vitamin A, C and E along with essential fatty acids and Omega 3 "provide welcome relief and soothing moisture for skin in need of a little TLC". I'm also going to give this a try on my cuticles as I imagine it would be great for softening them too! This is the product I'm most intrigued by this month as I've never taken vitamins before and these ones are specially designed to help keep hair, skin and nails healthy. I absolutely love the packaging too - the artwork on the front of the box looks so pretty and the capsules inside are labelled with days which is very handy. You get 28 capsules in this pack which is a two week supply and they're worth £15 which is more than this entire box. Wowzer! You can find out more about the ingredients in these capsules and how they work, here. My Valentine's surprise in this months box was a full size Art Deco lip booster and I couldn't be more chuffed with it. I've received one of these in a previous box and its absolutely beautiful so I'm more than happy to now own another shade. The idea behind the lip boosters is that they smooth out imperfections, hydrate the lips and make them appear full. I'd definitely agree that it does all of those things and the light wash of colour they provide is a nice bonus! Again, another unbelieveable box from Love Me Beauty. Four full size products, most of which cost more to buy individually than the box itself. Its complete madness that five amazing beauty products cost only £10 - what a bargain! I'm particuarly excited to try the Beautify Me vitamins and the Percy & Reed dry conditioner this month as they're both unlike anything I've ever tried before. I think that's the great thing about beauty boxes - trying products I wouldn't normally buy for myself and discovering new favourites. 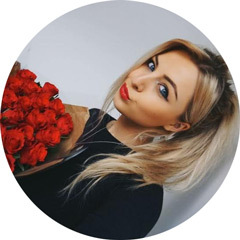 As a special treat for the readers of my blog - Love Me Beauty have very kindly given me a unique discount code which allows you to receive 10% off your first subscription. All you need to do is enter 'CG10' into the checkout to receive the discount. Also, don't be put off by needing to subscribe as you always have the option to 'skip' a month if you don't like any of the contents and you can cancel at any time. To learn more about how Love Me Beauty works, you can visit their website here. For just over £10 including delivery, you'll receive this lovely bunch of beauty products worth a whopping £47.87 delivered straight to your door. Sounds too good to be true right? Will you be taking advantage of my discount code and getting yourself one of these boxes? If so, be sure to let me know what you think by sending me a tweet to @k_leexjx. 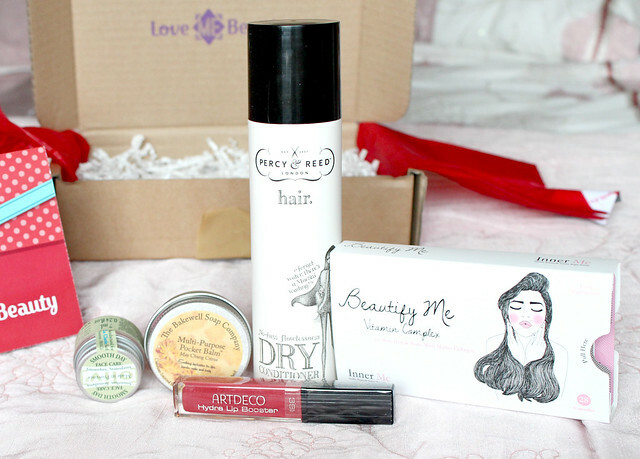 This beauty box sounds so tempting! Great blog post. Thanks for the 10% off, I will definatly be signing up. Eeek so excited! This is long overdue! Love the sound of the tablets! Im going to change over to this box and cancel my glossy box subscription! I have been so disappointed recently! 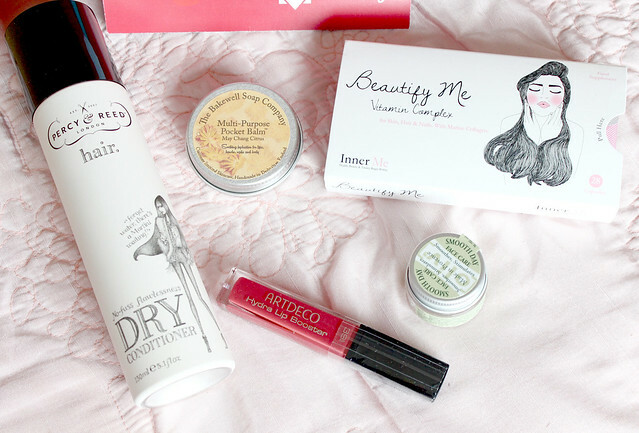 After reading your post, I definitely need to get myself a Love Me Beauty Box! Great review as usual Kayleigh!